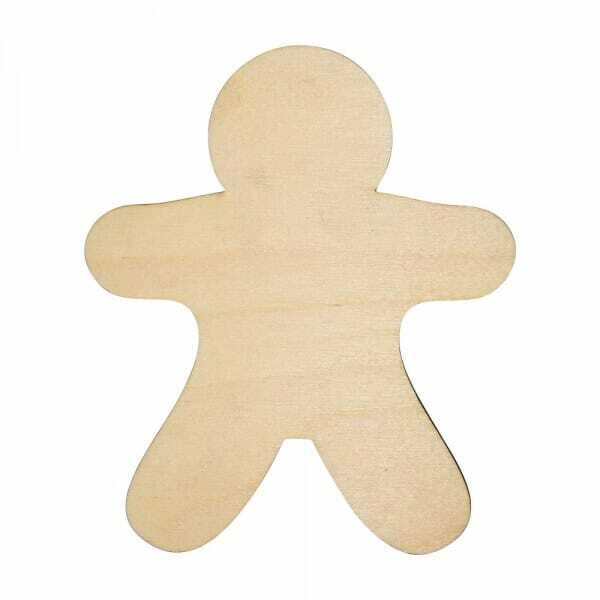 Our wooden gingerbread man craft shape makes a welcoming addition to a crafter's collection. Made from 3mm of Birch wood, the craft shape can be painted, glued or glittered to enhance any arts and crafts project. Choose from a variety of different sizes ranging from 25mm to 250mm, to suit your specific desires. Customer evaluation for "Craft Shapes - Gingerbread Man"